Nothing says comfort like a hot bowl of soup on a cold winter night. What if you could take this concept and make it elegant for the holidays without losing the warm feeling that comes along with it? Of the many parties and events I have attended, I have noticed an increased trend of serving small shot glasses or tiny cups of delicious soups. Whether served on a tray by a passing caterer, or as a tasty trio for a first course, soups will always be the perfect start to a fantastic meal; and are a meal in and of themselves with the right accoutrements. That is where the idea for this blog was born. 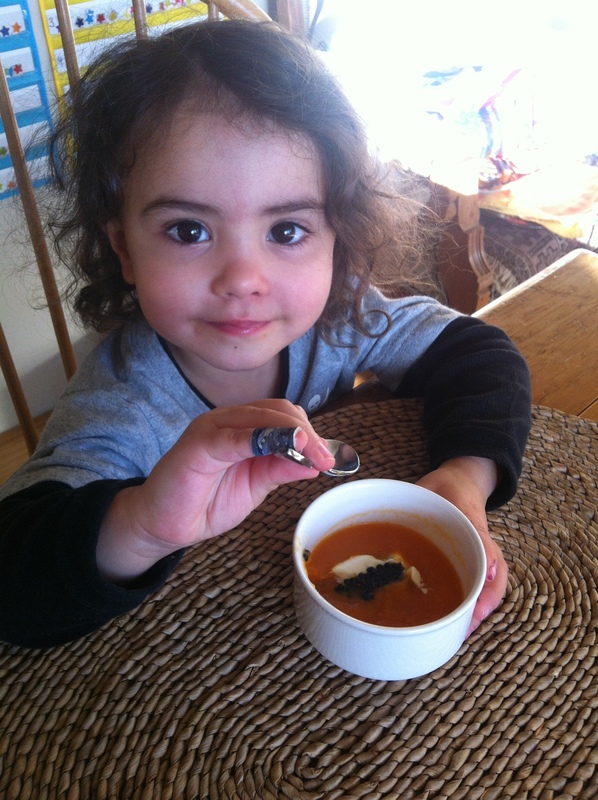 “Soup-up” means to make greater in power or appeal. 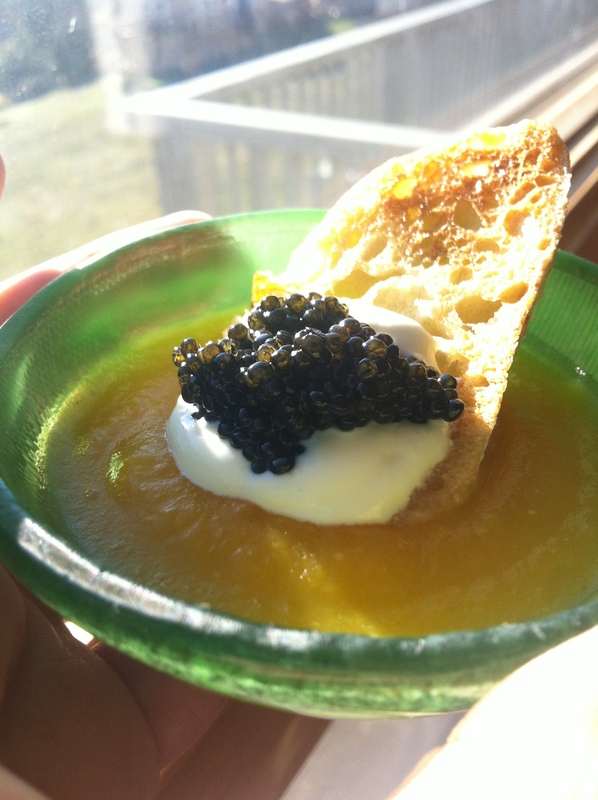 While this term is generally tied to automobiles, I’d argue that the addition of fine caviar or roe to your favorite soup, undoubtedly increases its appeal. The holidays are a perfect time for inviting friends and family to share in your culinary inventiveness, and Pacific Plaza is here to help you make your event even more special. In the last year, I have become obsessed with making homemade soups, which I can freeze and reheat year round. Winter is the perfect time to share some of my tried and tested recipes that are sure to add warmth to your holiday parties and meals. 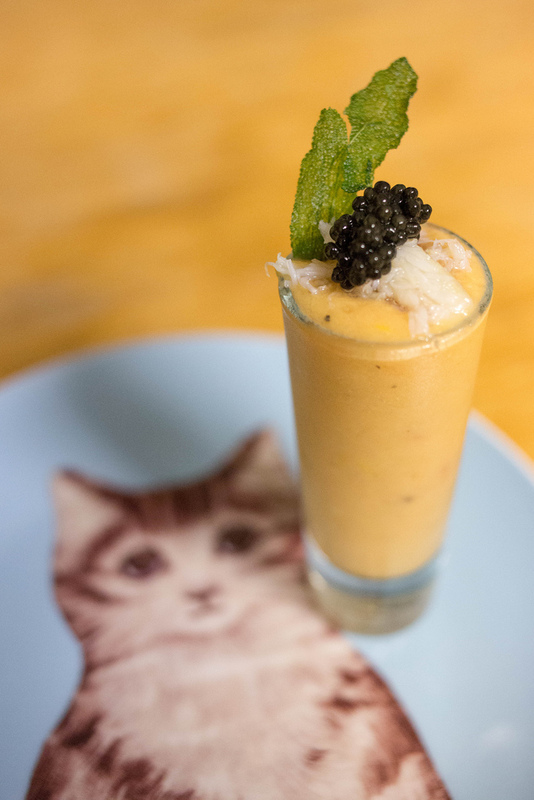 Pairing these recipes with some of Pacific Plaza’s best caviars and roes enhances these already great flavors, and will impress even your most discerning guests with their sophisticated presentations and mouthwatering taste. The recipes below could absolutely be served full-sized bowls, but they are displayed here in small glasses, cups and bowls to give you ideas for presentation and plating, cocktail style. 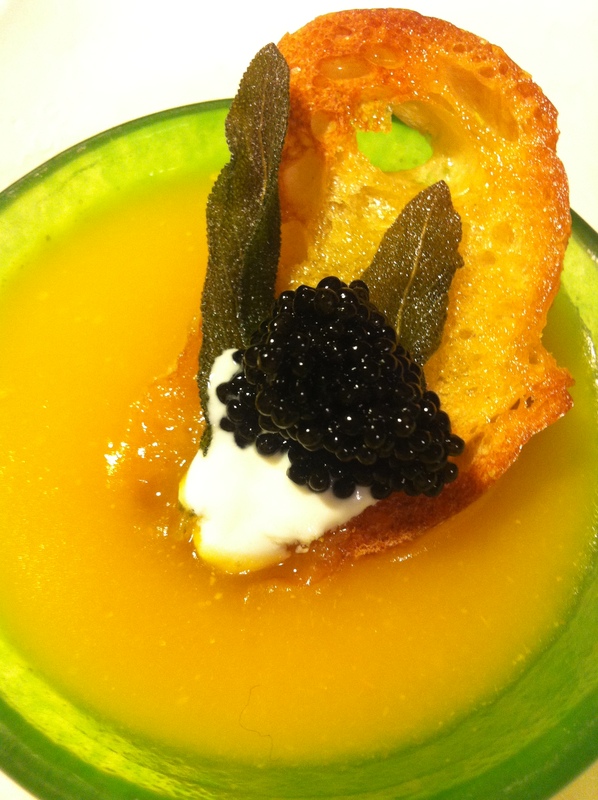 Note: any darker roe or caviar may be used, I would also recommend pairing with Plaza Baerii or Plaza Osetra. 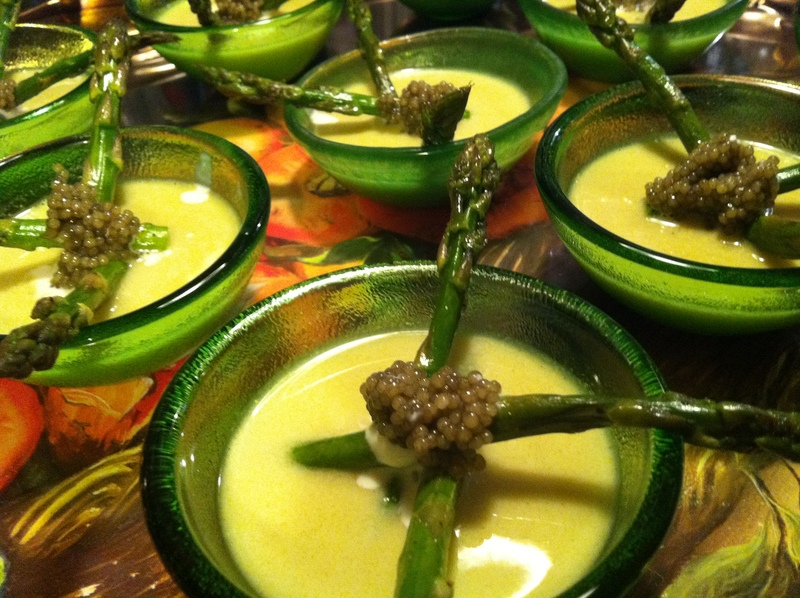 Assemble as photographed in small bowls, spoons or shot classes as preferred – accompanied by crème fraiche and roasted asparagus spears. 10 tablespoons grated fresh ginger (this is a lot of ginger – so feel free to lessen the volume if you are not a fan. However, please note, that the strong ginger flavor added a nice heat and combined beautifully with the caviar). In a large pan, over medium high heat, add butter and onions and cook, stirring often, until onions are translucent. Prepare vegetables and other ingredients as described above. 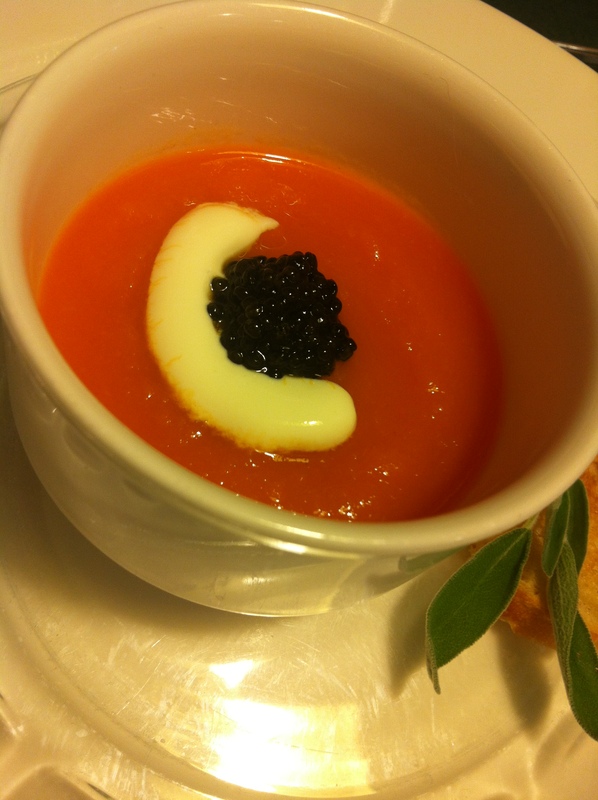 Serve immediately, (or chill and serve cold – If you chill the soup – wait to garnish with sour cream and caviar until you are ready to serve). Heat the oil in a large saucepan or stockpot, add chopped onion. Sautee for 5 minutes or until onions are translucent. Then add stock, bring to a boil, reduce heat and partially cover and cook for 25 minutes. Garnish with herbs or chives/dill or other herb as you like. Will update with more images soon and info before Xmas!